Business Cornwall magazine will be blogging live from the Eden Project tomorrow lunchtime (Friday, February 5), in a live round table debate involving four of Cornwall’s leading businesses. 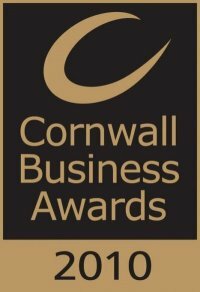 Directors from the overall winners of the past four Cornwall Business Awards – Bott Ltd, TJ International, Frugi and Composite Integration, will all be on hand to discuss a wide range of current topics pertinent to the Cornish business scene, and to explain the impact that winning the awards has had on their company. We will be providing live Twitter coverage from the discussion through the Business Cornwall website, where you will have the opportunity to put your questions to the panel. The event will also be filmed for future broadcast on businesscornwall.co.uk, while an account of the debate will appear in the March issue of the magazine. Nominations for the 2010 Cornwall Business Awards are currently open. The awards ceremony will take place at St Mellion International, in May.